Restore of the Heartland excels at responding quickly to these urgent needs so that buildings and building contents can be protected from further damage. But once these initial needs are met, a new challenge presents itself: restoration and reconstruction work to make the property functional again. 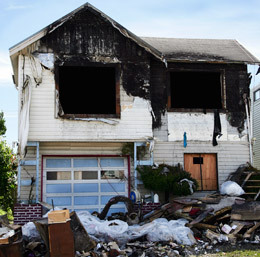 Restore of the Heartland can provide this continuity by supervising a full range of restoration services that will bring a building back to full functionality. Contact us today for disaster recovery construction and restoration in Salina, Emporia, Topeka, Mcpherson, Fort Riley, Abilene, Junction City, Clay Center, Holton, Concordia, Wamego and the surrounding Kansas area. Decks, patios and exterior details. Restore of the Heartland can also provide expert restoration or replacement of exterior details damaged during the disaster. One call does it all. Let Restore of the Heartland handle your disaster recovery needs from start to finish. Thanks to our years of experience and our comprehensive approach to disaster recovery, you can be confident that all your needs will be met.